Erik Svedang's Blueberry Garden, a charming exploration game set in an ever-changing ecosystem, received top honors - the $30,000 Seumas McNally Grand Prize for Best Independent Game - at the 2009 Independent Games Festival Awards. 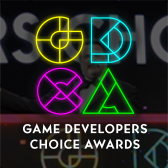 The winners were announced this evening at the eleventh Annual IGF Awards ceremony, hosted by the Game Developers Conference at the Moscone Convention Center in San Francisco. The IGF awards are often referred to as the Sundance Festival of the video game industry, and offer both global exposure and over $50,000 in cash prizes to each year's winners. 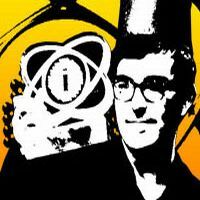 Previous breakout IGF award-winners include titles such as Braid, Audiosurf, Castle Crashers, and World Of Goo, and this year's awards saw 226 Main Competition entries from all over the world - and over 450 entries in total. 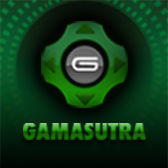 Other IGF award recipients for 2009 include Amanita Design's evocative adventure game Machinarium, which took the Excellence in Visual Art Award, and KranX Productions' Musaic Box, which won the Excellence in Design Award thanks to its cunning combination of music game and block puzzler. The first ever Innovation (Nuovo) Award, honoring a title that advances the art of gaming, went to Jason Rohrer's two-player collaborative title Between, while Digital Eel's BrainPipe received the award for Excellence in Audio, and Data Realms' Cortex Command was recognized for Technical Excellence, also picking up the Audience Award, after receiving the largest share of thousands of public votes cast at IGF.com in recent weeks. Finally, the award for the Best Student Game went to DigiPen Institute of Technology's paint-splattering action title Tag: The Power of Paint, and download sponsor Direct2Drive's $10,000 D2D Vision Award was won by Hemisphere Games' Osmos. The IGF judges are made up of over 50 industry game creators and journalists, including the makers of previous IGF honorees World Of Goo, Braid, Aquaria and N+; industry veterans from studios including Maxis and SuperVillain Studios; and noted writers from Wired, Kotaku, Newsweek, Joystiq and MTV. "Yet again, we've been blown away by the quality and diversity of entries in this year's Independent Games Festival," said Simon Carless, IGF chairman. "Every year, indie games seem to get more and more vital, and we're pleased to be able to help honor the very best." The eleventh annual Independent Games Festival is supported by Platinum Sponsor Mountain Dew's Green Label Gaming which contributed $10,000 to this year's record-breaking Grand Prize amount, official download partner Direct2Drive, Gold Sponsor Microsoft's XNA, Silver Sponsor Sony, and Student Showcase Platinum Sponsor DigiPen Institute of Technology. 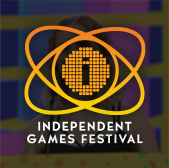 For more information about the IGF, the finalists and the winners, please visit the official Independent Games Festival website.